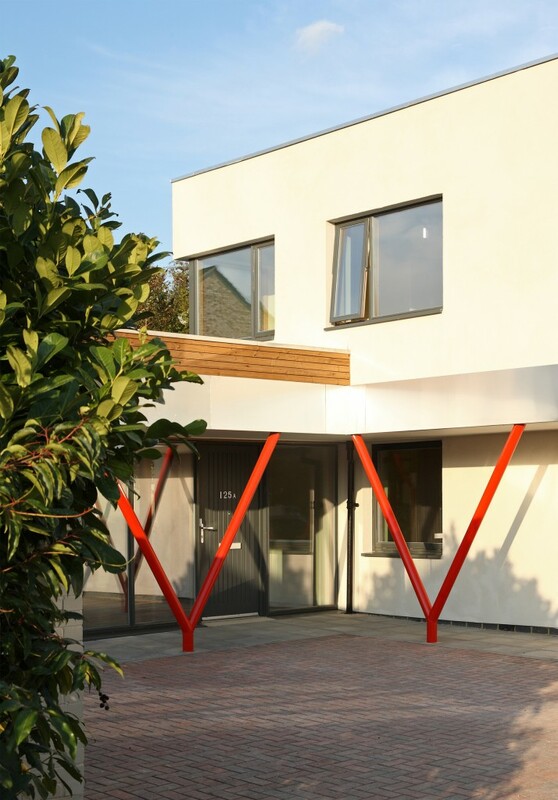 The client asked us to revisit an existing planning consent they had for this site and take a fresh look at ways of keeping the approved massing but improving the internal layout and external envelope design. 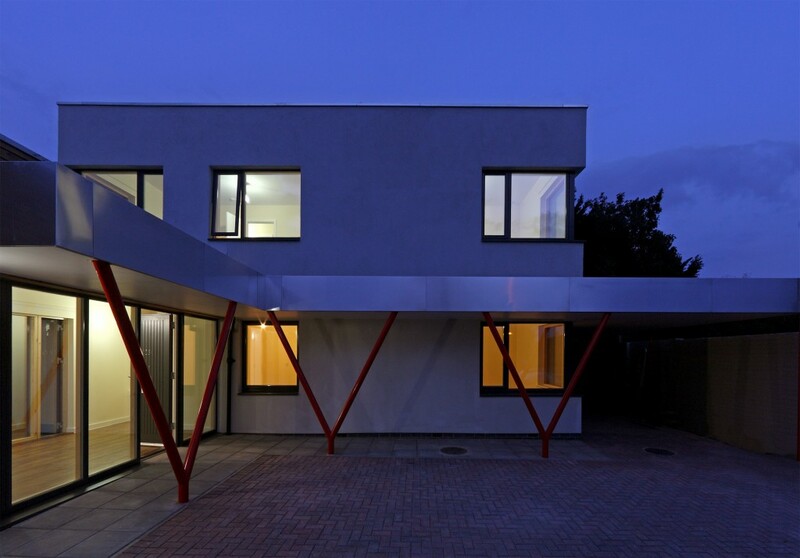 The design brief was to provide an affordable rent wheelchair dwelling for seven persons with high sustainability credentials which would inform future developments in the borough. The house has been designed as two distinct blocks connected by a largely transparent circulation/entrance zone. The two-storey block contains the sleeping accommodation while the single-storey block contains the living and eating spaces. Large areas of triple glazing wrap around the north facing rear ground level facade affording a close relationship to the private garden. 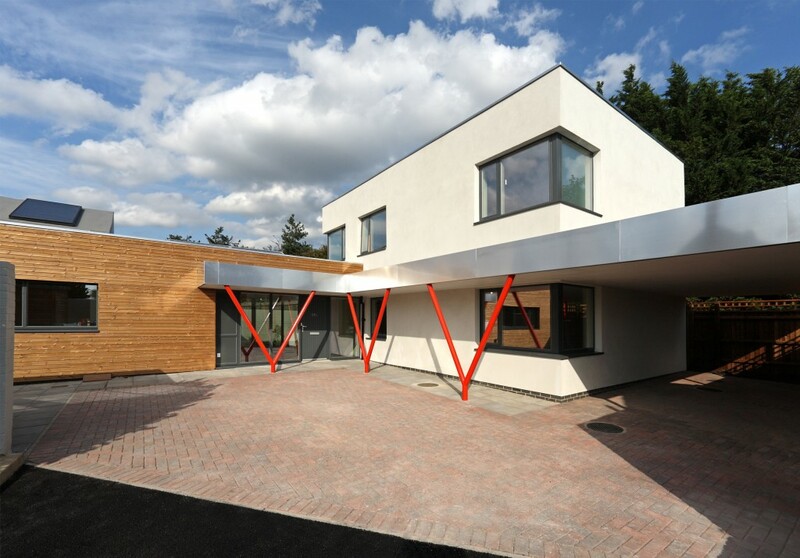 The house has been designed as Code Level 5 under the ‘Code for Sustainable Homes’ classification. 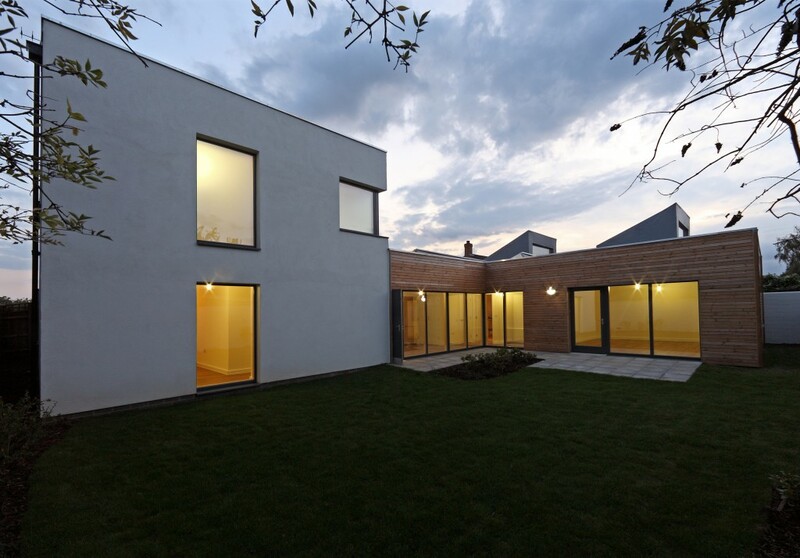 The house is constructed using a timber frame with 350mm of Hemcrete wall insulation. 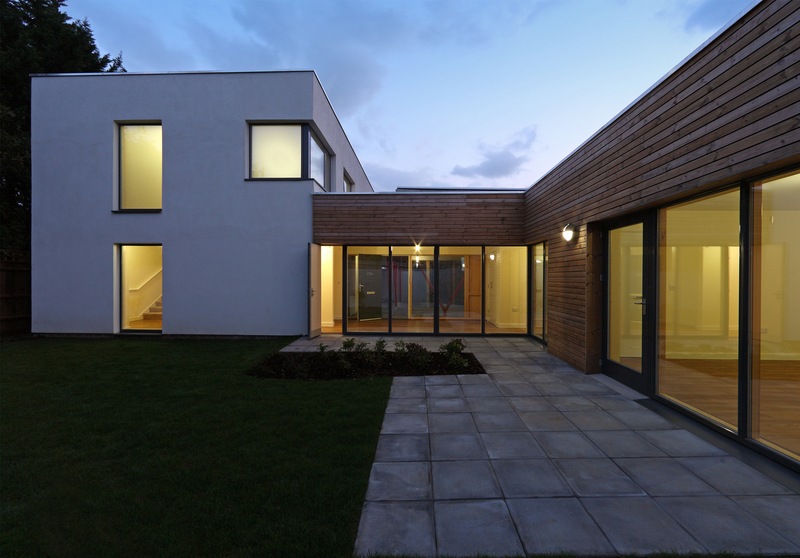 The two-storey portion is rendered and the single-storey portion timber clad. The flat roof areas accommodate solar PV panels and solar hot water units.